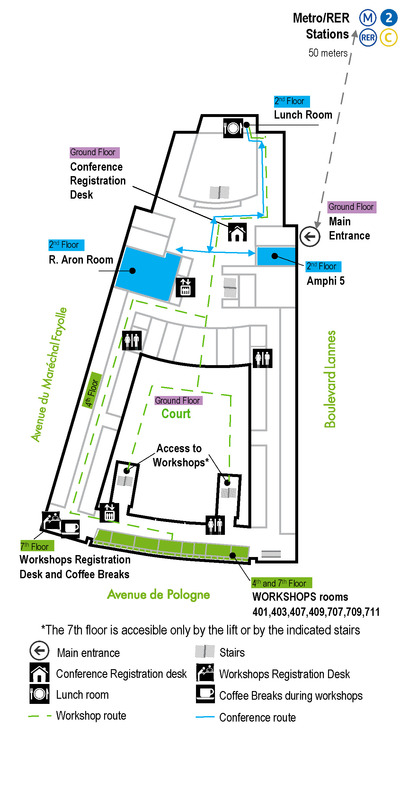 The Conference will take place at the University of Paris-Dauphine (UPD). It is situated in the West of Paris and is very well connected by public transportation. Take the Boulevard Périphérique, exit at "Porte Dauphine", straight to the Place Maréchal de Lattre de Tassigny. 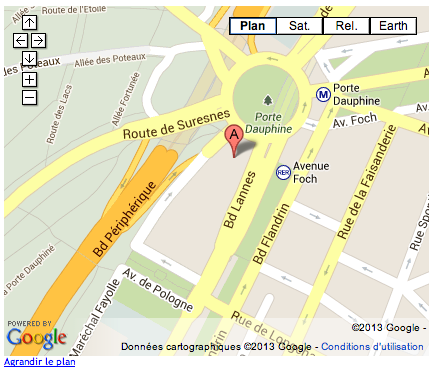 Bus: take PC1 Line and get off at the Porte Dauphine stop. From Roissy-Charles De Gaulle airport. CDG airport is located North of Paris. Suburban train: RER B southbound to stations "Gare du Nord", "Chatelet-Les Halles" or "St Michel". It takes approximately 30 minutes from CDG to "Chatelet-Les Halles" station. From Orly airport. Orly Airport is located South of Paris. Suburban train: Orlyval and RER B northbound to "Chatelet-Les Halles" or "St Michel". Please visit orlyval for more information.